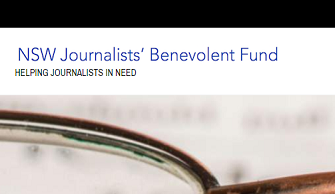 The NSW Journalists’ Benevolent Fund trustees have asked the fund’s accountant, Brenden Hughes of Boroughs Australia Pty Limited, to act as returning officer for the election of three trustees. Nominations are now called for three Class A trustees of the fund to be elected for a two-year term expiring on June 30, 2021. Nominations, which must be in writing, may be made from Wednesday, May 1, 2019. They must reach the returning officer at Level 6, 77 Castlereagh Street, Sydney NSW 2000, by 10am on Thursday, May 16, 2019. Only financial members at March 31, 2019, of the Media section of the NSW branch of MEAA are eligible for election. If a ballot is necessary, voting material will be posted to financial members of the Media section of the NSW branch on Thursday, June 6, 2019, at the address shown in MEAA's records. Members should notify the union of any change of address. The ballot will close at 10am on Thursday, June 20, 2019.